Found 62 holiday apartments in Dubai. 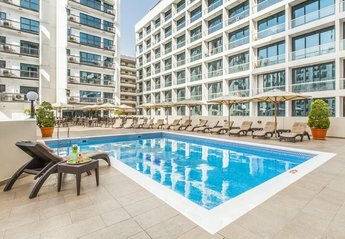 Stay in this newly added 1 bedroom Dubai Holiday Apartment in Marina Quays, close to all Dubai attractions. An ideal waterfront one bedroom apartment on Dubai Marina. Located opposite Jumeirah Beach just a 5 minute walk across the marina bridge. Stylish, Modern one bedroom apartment sleeps 4 people. Fully furnishes and equipped. This one bedroom apartment is located at Bahar - Jumeirah Beach Residences. It enjoys a town view and have wi-fi internet access. The self- catering apartment is fully equipped and offer world class amenities such as gym, rooftop swimming pool, sauna, spacious lounge, dining area and a contemporary kitchen. Located directly opposite the Dubai Marina Yacht Club. This ultra modern Dubai Holiday Rental Apartment is located in the Park Island. A perfect Dubai holiday apartment located at the heart of Dubai Marina. It's only a walk away from Dubai Media and Internet City and near Dubai's popular shopping malls and Golf courses. A DELUXE apartment at Marina Diamond 1 that is ideal for corporate or Dubai holiday stays. Its excellent location lets you enjoy what Dubai has to offer from shopping malls to Dubai Media City and Golf courses. This apartment is located on floor 19 in Marina Terrace Building at Dubai Marina. Newly furnished one bedroom apartment at Park Island - Bonaire, Dubai Marina. Close to Jumeirah Beach Residence. This Platinum beachront two bedroom apartment is situated at Jumeirah Beach Residence (JBR) great beach access and close to all amenities. This apartment is within walking distance of the Dubai Mall, this new apartment also has great views and is ideal for visitors who love to shop and business people who need to attend the Dubai World Trade Centre. Close to the Burj Khalifa Tower. Stay at this luxurious one bedroom Shoreline apartment at the iconic Dubai Palm Island Jumeirah. Enjoy full access to resident's beach club offering a gym and swimming pool. One bedroom Dubai Marina apartment with excellent views! Make the most of your Dubai Holiday by staying in one of the most sought after location in The Palm Island. Luxuriously furnished this self-catering apartment offers a superior life style with water-side promenade, recreational areas and Gym. Newly Added Apartment by the Marina Walk, internal images to be added later. Located in the most picturesque part of Dubai- Dubai Marina this self catering one bedroom apartment is surrounded by towering landscapes, scenic marina views and pedestrian walks. It is perfect for both business and leisure Dubai travellers. Beautiful 1 bedroom platinum apartment for rent in Dubai Marina. This apartment has a balcony and enjoys facilities including an outdoor swimming pool, sauna and gym. Fully furnished to a high standard, set within the affluent Dubai Marina, this holiday apartment offers uncompromising on site luxuries such as swimming pool, jacuzzi, gym and easy access to the Dubai Marina shopping mall. This Signature beachront two bedroom apartment is situated at Jumeirah Beach Residence (JBR) great beach access and close to all amenities. 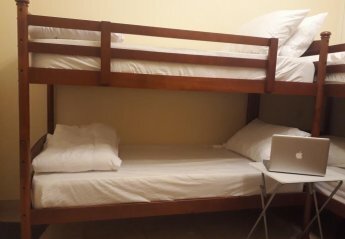 Downtown Dubai studio apartment, sleeps up to 2 people. Fully furnished and equipped with all necessities. One bedroom apartment at Bay Central, Dubai Marina, sleeps 3 guests. Apartments is fully furnished and equipped. One of the best Palm locations you can expect for your short beach stay in Dubai. A spacious holiday rental apartment ideal for both business or liesure. Signature one bedroom apartment at Botanica, Dubai Marina. Sleeps a maximum of two guests with all mod-cons and a sea view. This serviced 1 bedroom Dubai Holiday apartment is located at the beach front community known as 'Jewel of the Palm'. Enjoy panoramic sea views of New Marina or a relaxing stroll along the water's edge with ponds and cool shades. We found 62 holiday apartments in Dubai.